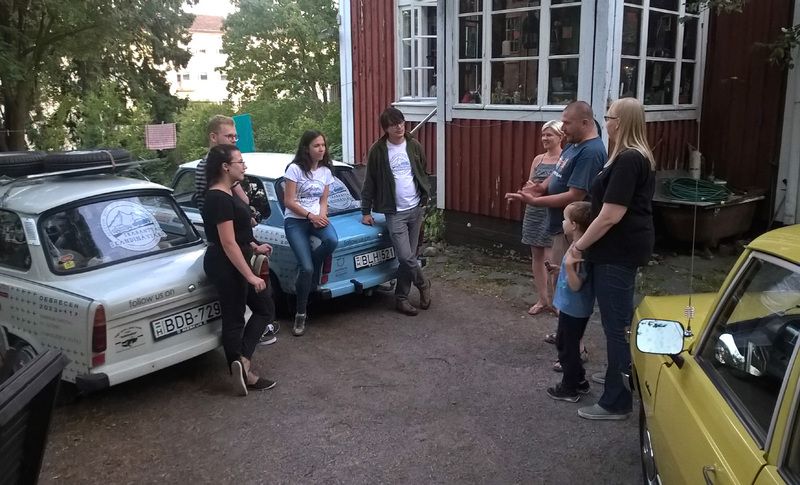 Warre-Team delegation welcomed the Hungarians when they arrived in Helsinki. Square. 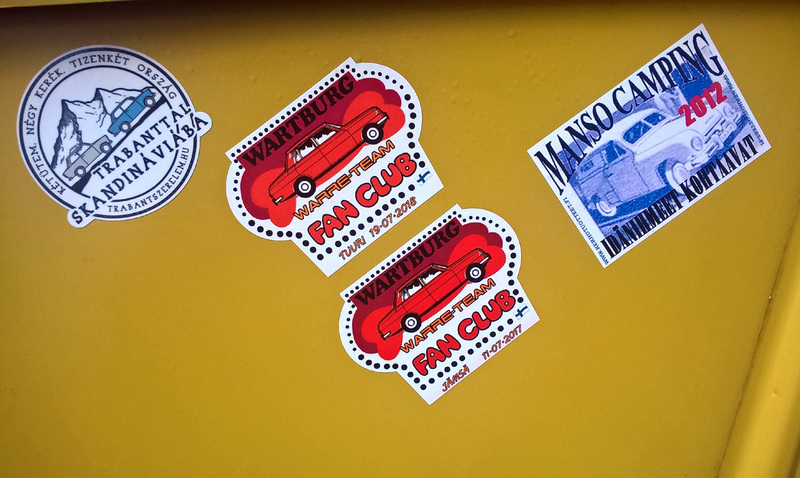 It was a pleasure right from the beginning to meet these nice Hungarians. in the Hietalahti Market Square. 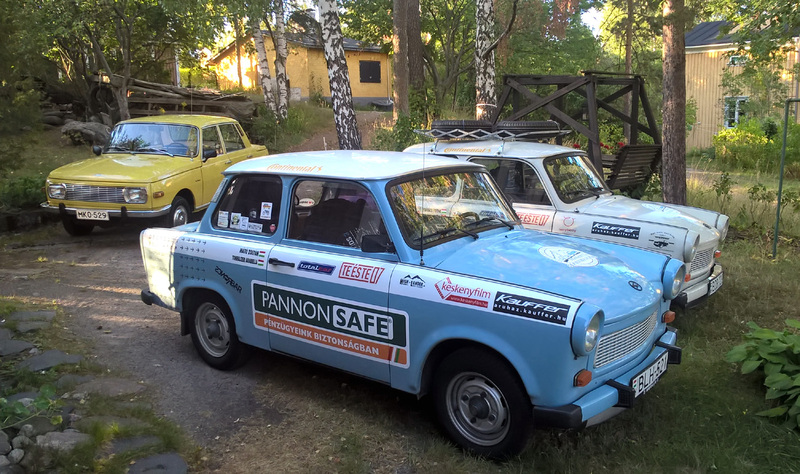 Finally, the Trabants were escorted by Warre-Team to their accommodation. 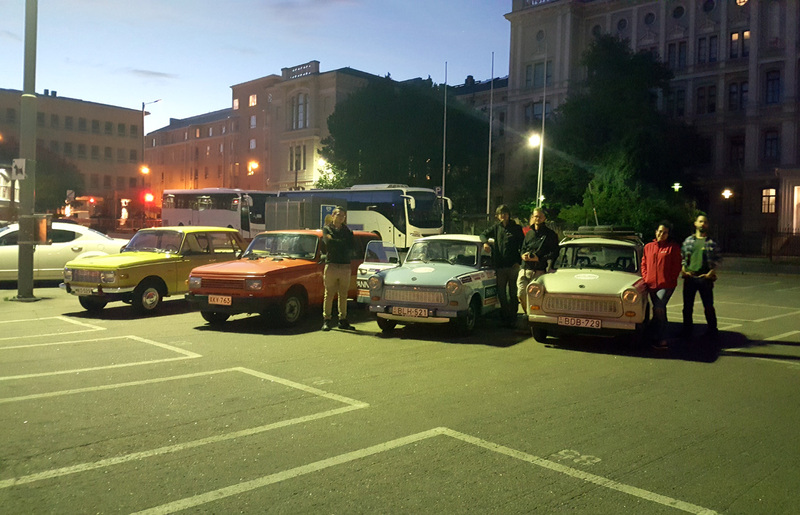 On Tuesday evening the Warre-Team delegation together with the Hungarians had unofficial welcome ceremonies. the sauna. 2. Go to the sauna. 3. Take it easy. 4. Repeat phases 2-3. The representatives of these kindred nations had good time together. 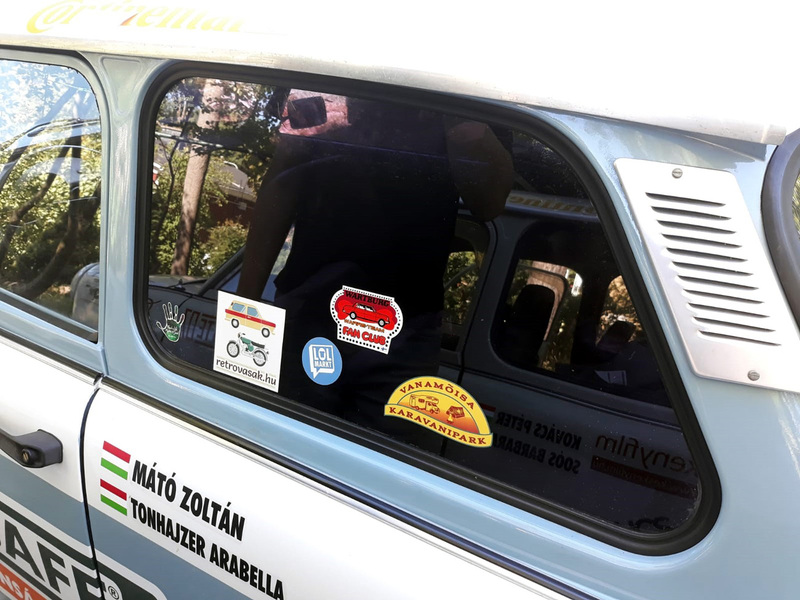 The Hungarians have been clever to find many sponsors for their journey. 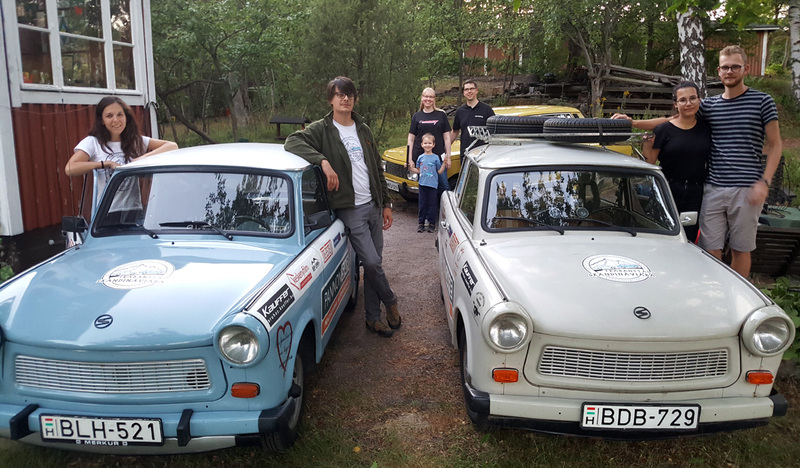 J.K.'s Wartburg is behind the Trabants. 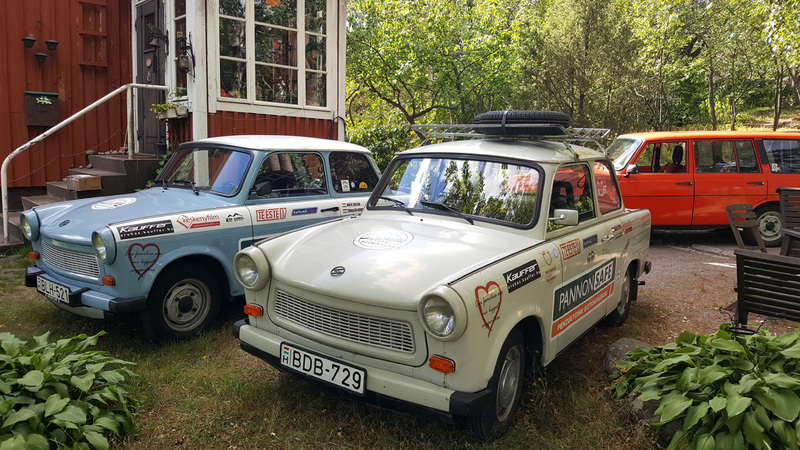 Spare tires for both cars are travelling on the roof rack. 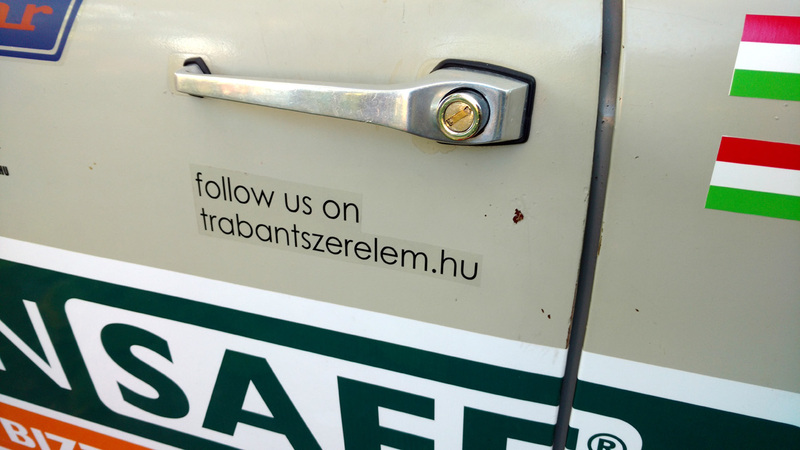 The Hungarians are very active on social media. given to the Hungarians. 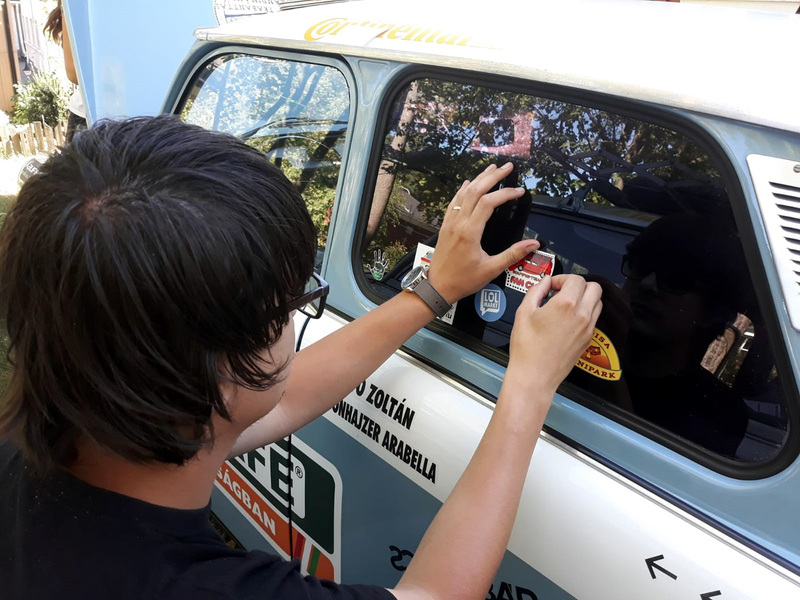 Zoli put the sticker to the side window of Bolha. Zoli: "That's it! Nice colours, looking good!" 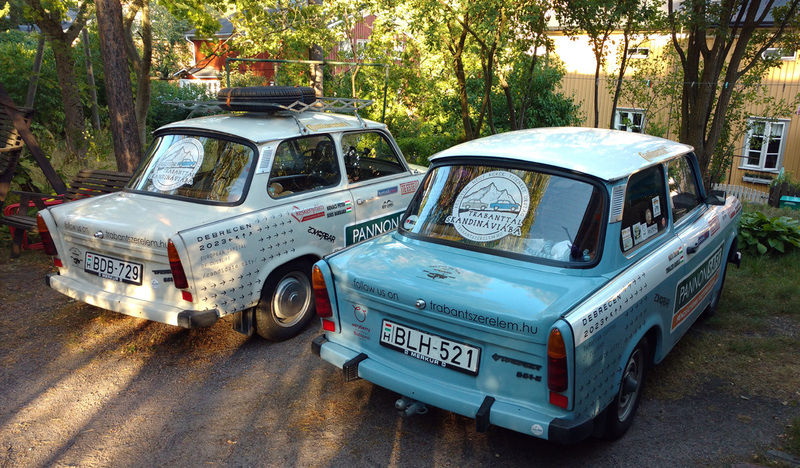 The sticker of the Hungarians' journey is placed in J.K.'s Wartburg as a sign of the international friendship. 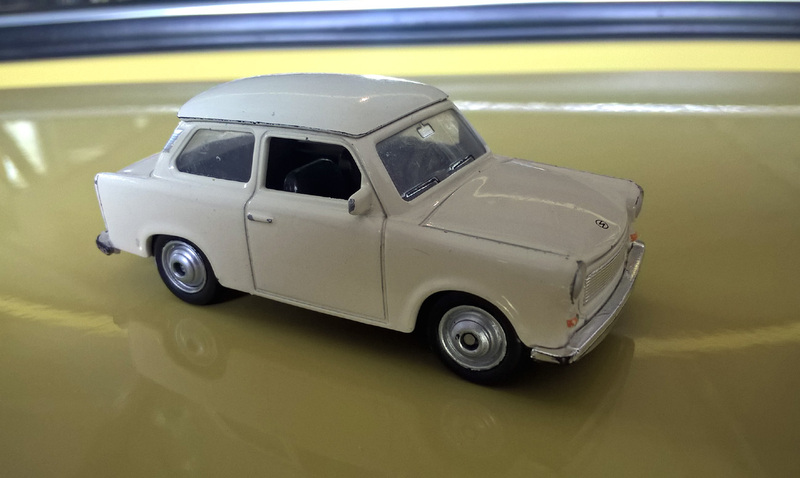 The Hungarians had received a Trabant toy car from a Hungarian boy in order to give it to a child on their tour. 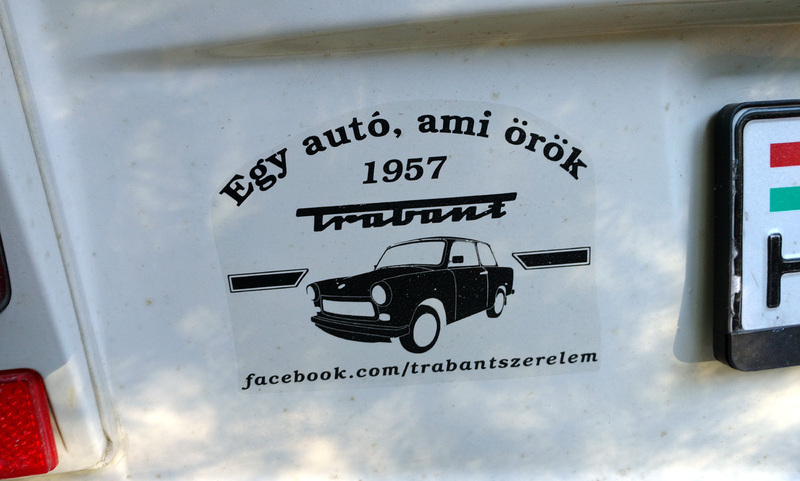 Hungarians. 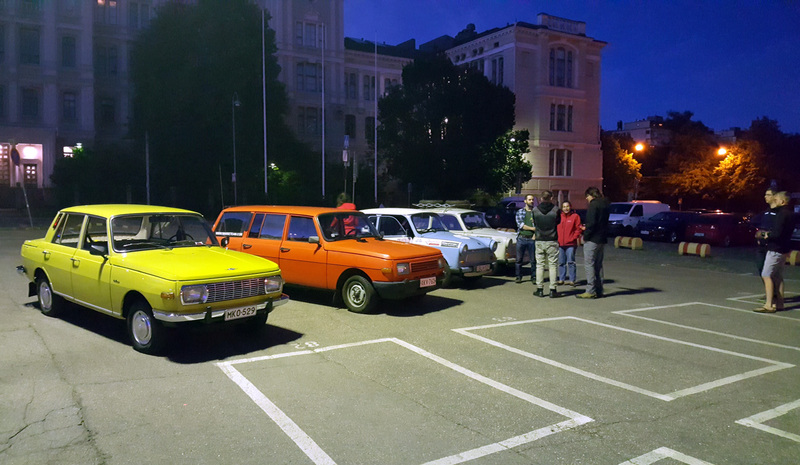 Thank you so much, Bodobács and Bolha teams! Have good journey! 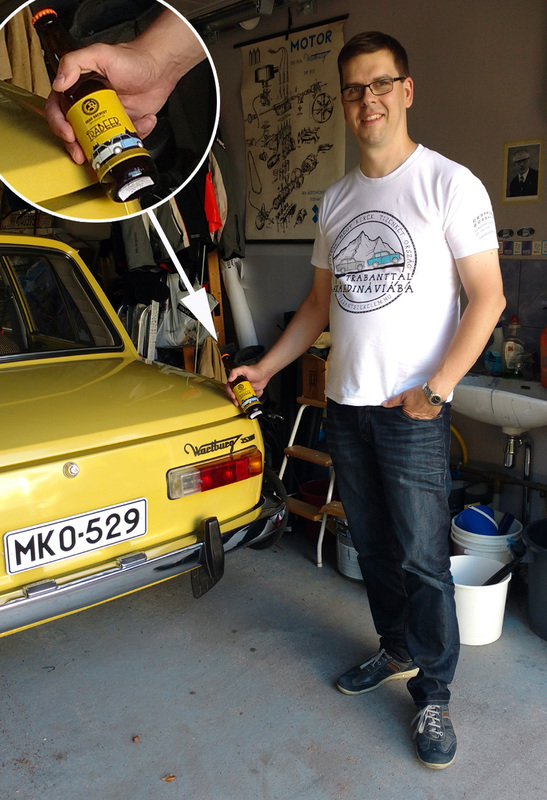 Talwiajot 2018 -tapahtumassa ei tarvita talvirenkaita !